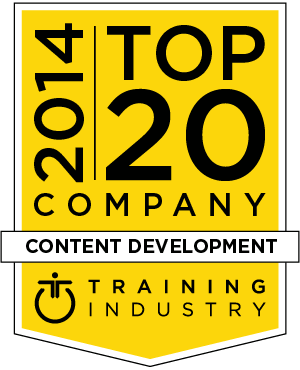 This list recognizes the 2014 Top 20 Content Development companies in the training industry and is designed to help buy-side organizations in their search for the right training partner. As part of our commitment to continuously monitor the training marketplace for the best providers and services we announce the 2014 Content Development Companies Watch List. This list recognizes companies from all over the globe that provide content development services. The 2014 Content Development Companies Watch List is intended to help buyers of training services evaluate learning portal providers. Interaction Associates, Inc.’s services build excellence in collaboration, competence in strategic thinking and deep self-awareness. They deliver enterprise-wide consulting solutions, group development and training, and individual coaching support. TEKsystems help solve organizational readiness and talent development challenges. Leveraging technology, best practices and a unique understanding of how to apply the latest thinking in adult learning, human performance improvement and organizational development principles, they deliver effective, sustainable outcomes that are metric and data driven.